Adidas will be releasing on November 17th the new Adidas Nitrocharge 1.0 Hunt boot. This will be one of the four models of Hunt boots released by Adidas this fall. 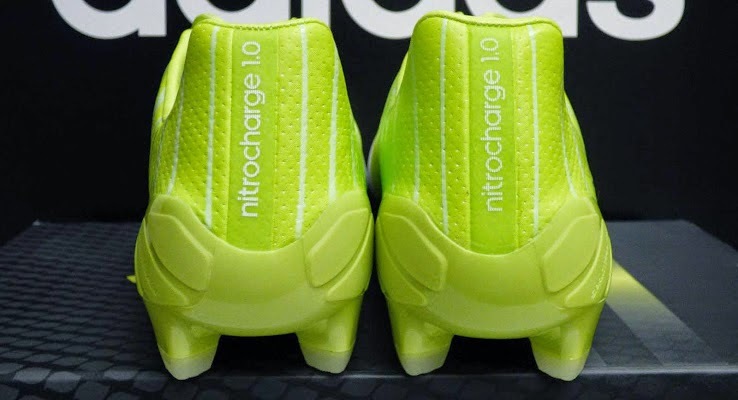 The new Adidas Nitrocharge 1.0 FG Hunt will be the new glow in the dark edition of the well-known Nitrocharge design. 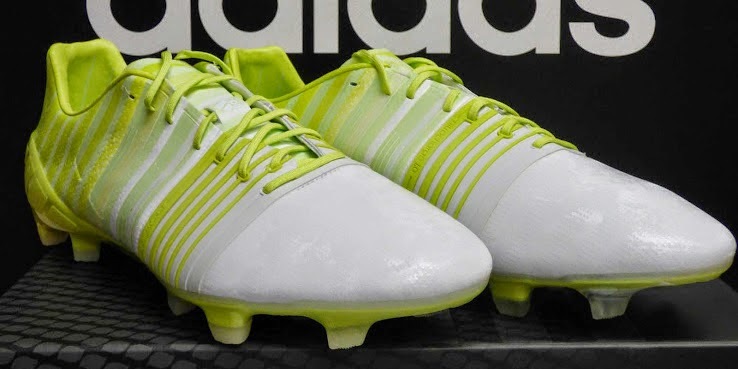 Adidas will be using the Hybridtouch material in the upper part of the boot for optima grip in all weather conditions, and they have also removed the protection meshes in the heel of the boot that previous Nitrocharge had. I believe the main feature is the glow in the dark aspect. Like all of the other Hunt boots, very few addtions or subtractions have been done from the previous models to this model, the main difference being the color and the glow in the dark feature. A feature that in my mind will go unnoticed during a game being played in a well light stadium. 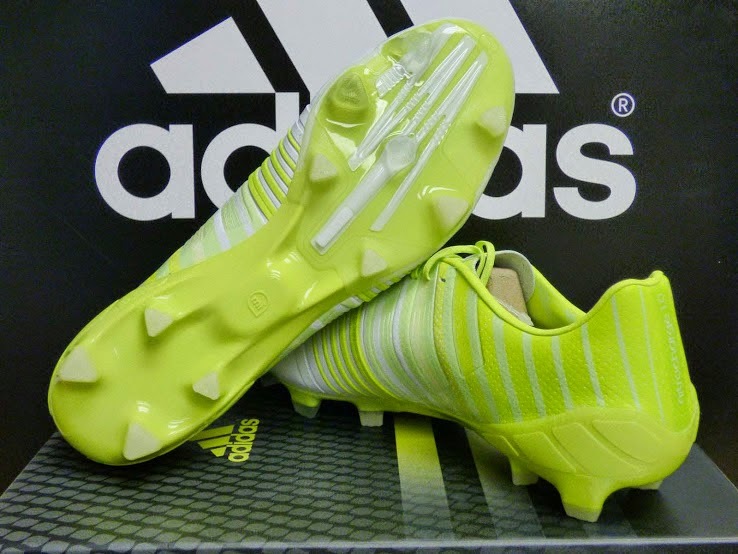 If novelty is your thing and the Nitrocharge your boot of choice than this one is made for you. Check out your local retailers on November 17, they should be able to make you a happy shopper.